In these uncertain times, one thing remains certain: the regulatory focus on pharmaceuticals does not diminish. MBA provides expert help with all aspects of pharmaceutical GxP support. 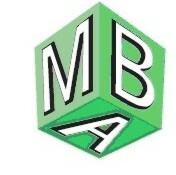 Please click here to see details of how you could benefit by using MBA's services. Pre-MHRA inspection preparation on a project management basis and training for the UK site of a global contract manufacturer. The inspection was successful. Systems assessment, pre-licensing inspection preparation and training for a UK site of a global manufacturer. The licence was granted. Facility assessment, reporting and further recommendations regarding a refurbished aseptic processing facility in the EU, on behalf of an insurance company. Site preparation of a solid dosage form facility within Europe for a global contact manufacturer, in advance of a FDA submission and inspection. The inspection is awaited. Extensive assessment, post-inspection remediation and pre-inspection preparation and training for a UK vaccines manufacturer in advance of both UK and FDA inspections. General GMP and specific aseptic training to industry representatives and inspectors from two regulatory agencies located in the Middle East.